At 328 metres (about 1000 feet) the Sky Tower is the tallest man-made structure in New Zealand. Experience uninterrupted views of the Auckland landscape as you travel in a glass-fronted lift to one of three spectacular viewing platforms. For a little more excitement do a SkyWalk - an outside loop around the pergola 192 metres (just over 600 feet) above ground or If you're really bold, choose the quick way down and SkyJump - a controlled free fall from the top to the bottom. Inside, the Sky lounge offers coffee and light meals while the iconic Orbit Restaurant is Auckland's only 360 degree revolving dining experience. From Nelson, follow the coastline through several small seaside towns including the popular holiday destination of Kaiteriteri with its magnificent sandy beaches and calm blue waters. Continuing on you'll come to the tiny settlement of Marahau, gateway to the Abel Tasman National Park. From your base near Abel Tasman National Park, follow the coastline to Kaiteriteri, a popular seaside holiday destination. The magnificent golden sand beaches and calm blue water attracts thousands of kiwi families over the holiday periods. Leaving the coast you arrive into Motueka, the largest town in the area. Just a little further south, the regenerated commercial wharf of Mapua is now home to galleries, funky shops and cafes. 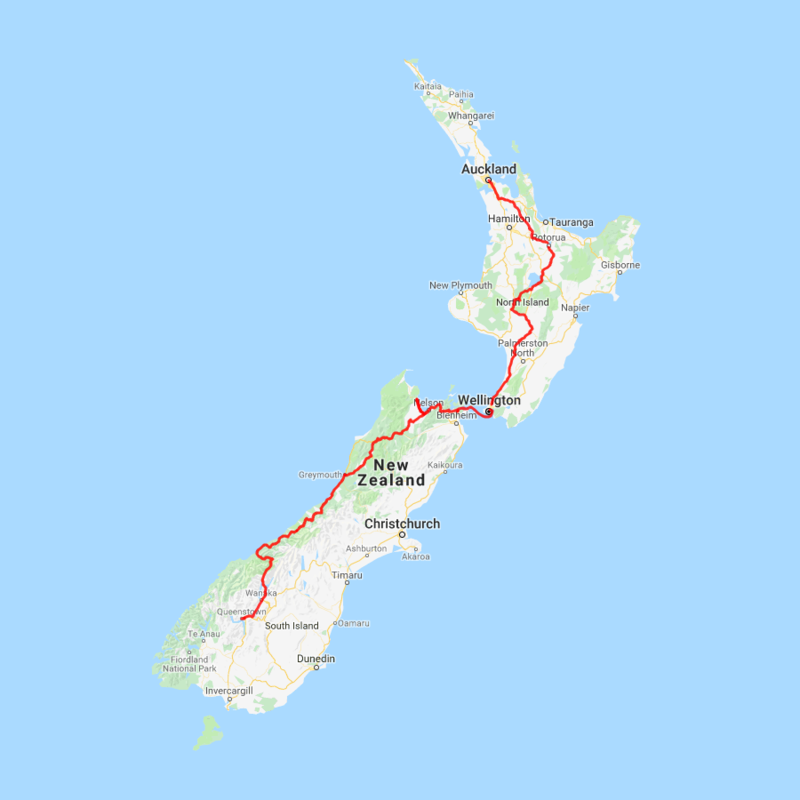 Continuing on, the route takes you along the shore through the seaside suburb of Tahunanui before arriving into the city of Nelson. Leaving Greymouth today you’ll make your way down the West Coast through the Glacier region. Pass through Hokitika, and take a detour to the Hokitika Gorge, spectacular with its Turquoise waters and steep bush-clad sides. Continue on through Ross, an old gold mining town with many original buildings still intact. Pass Hari Hari, the township Guy Menzies decided to crash-land in as he became the first person to fly solo across the Tasman. A little way further you’ll catch your first glimpse of Franz Josef glacier before arriving into the Fox Glacier township. Heading south along the coast you’ll encounter more classic West Coast bush scenery. At Knights Point Lookout elephant seals can often be seen basking on the sandy beaches at the far end of the point. Crossing the massive Haast River you turn inland and head through a valley littered with waterfalls. The Haast Valley offers a spectacular view of the river and its enormous power. The Blue Pools near Makarora are a great 30 minute walk. Lakes Wanaka and Hawea guide you into the township of Wanaka before you head over New Zealand's highest sealed road, Crown Range Road before dropping into Queenstown. This drive should be planned as a whole day make the most of the spectacular scenery.